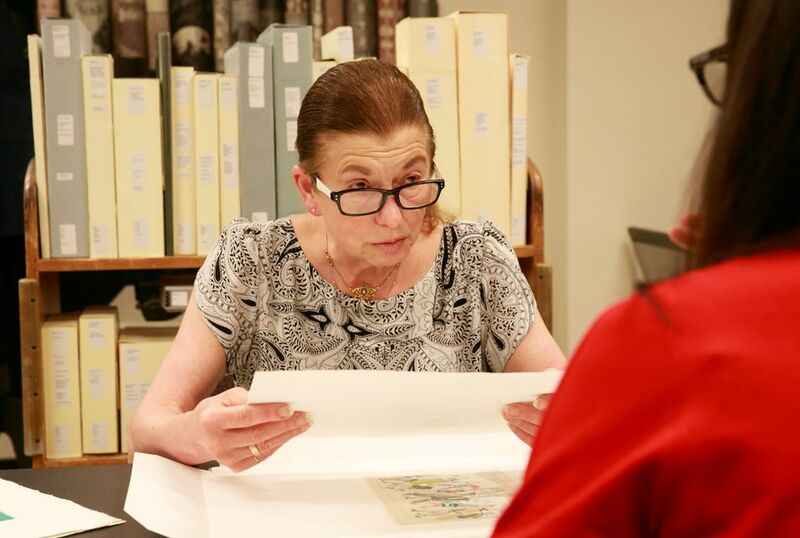 Since 1968, Sandra Kroupa has worked in the University of Washington’s Special Collections. 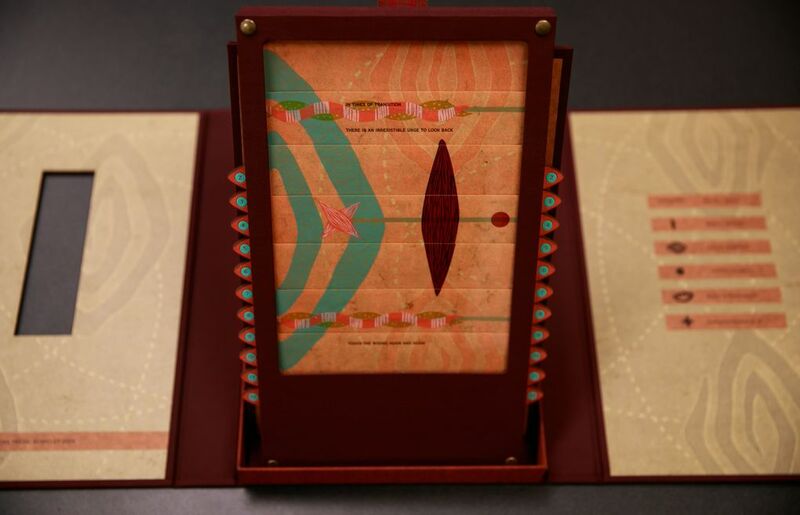 Now, as book arts and rare-book curator, she provides access to a vast collection of books, ranging from historical artifacts to contemporary artist books. Each is gasp-worthy, to someone. “On Being Ill,” an essay about its legendary author’s struggle with mental illness, is a small book, and not beautiful; carefully but not yet skillfully printed. Its ink is a bit smudgy, its binding inexpert, and through the paper you can see faint ghosts of the lettering on the opposite side. On its second page is the looping signature — in ink now purple, but probably once blue or black — of its author, publisher and printer: Virginia Woolf. Woolf’s little book, copy 3 of the 250 editions printed by the Hogarth Press in 1930, is a long way from its original home in southwest London. It resides in Special Collections at the University of Washington Libraries; a poignant, tangible connection to a genius lost long ago to the illness of which she wrote. I — once and always a UW English student who revered Woolf — held it in my hands earlier this summer, as Virginia once held it in hers. For a moment, words failed me. Sandra Kroupa, the UW curator and librarian who handed the book to me, is used to this sort of reaction; her job involves putting treasure into people’s hands. Since 1968, she has worked in Special Collections, beginning as a 21-year-old technician who typed facts onto 3-by-5 cards using a manual typewriter. Now, as book arts and rare book curator, she provides access to a vast collection of books, ranging from historical artifacts to contemporary artist books. Each is gasp-worthy, to someone. The paper — a traditional handmade Korean paper called hanji — is pale, cindery brown; long and narrow, with characters in neat vertical columns. Its edges are dark, almost charred, colored by centuries of fingertips; this page is so old it’s almost melting onto the paper it’s mounted on. From 1420, it’s an original sample of Korean movable type — well before Gutenberg. Special Collections is in the basement of the UW’s Allen Library, down a quiet staircase. Anyone can enter, during opening hours, and view the current exhibit, or browse the reference books in the main reading room. (All visitors, even those just browsing, must fill out a registration card and check most of their belongings into a locker.) A staff member, sometimes Kroupa, is always available at the reference desk for queries, and most of the collection — residing in a warren of cool, dark rooms beyond the public areas — can be brought out for viewing upon request, without prior arrangements. Appointments are needed for certain special materials. 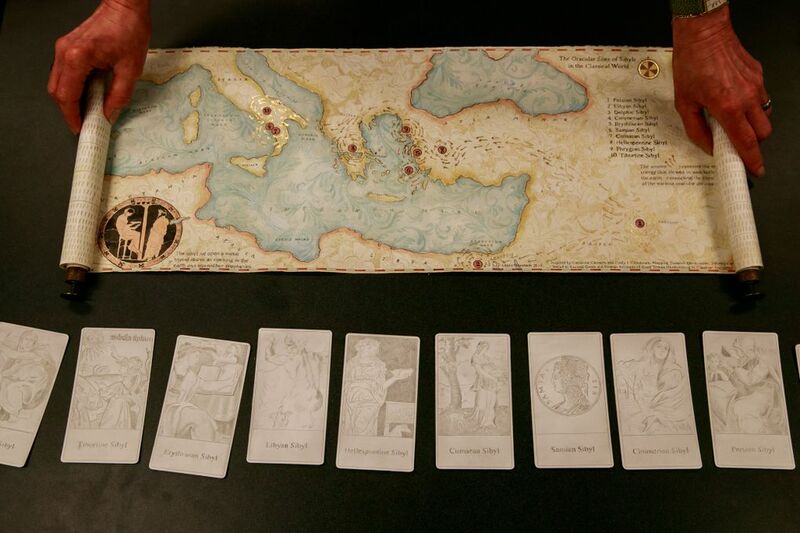 Also under Kroupa’s care is the UW’s 8,000-piece Historical Children’s Literature Collection. “Children’s books document so many different social issues — they’re a window into our society in so many ways,” Kroupa said. Kroupa’s also responsible for the Authors Collection, more than 10,000 titles from the 17th to 20th century, primarily of American, British and European authors. Within this category is a special endowment-supported 19th-century American literature collection, with an emphasis on female writers: Louisa May Alcott, Frances Hodgson Burnett, Emily Dickinson, Charlotte Perkins Gilman, Harriet Beecher Stowe and others. Its colors still bright after the better part of two centuries, this “book” unfolds on a library table into a long, narrow downward strip of illustrated panels; sort of a 19th-century version of Pixar. Dating from 1844, it’s titled “The Flight of the Old Woman Who Was Tossed Up in a Basket,” and its illustrations show exactly that, right down to a final descent into a blanket held by smiling breech-wearing gentlemen. “I don’t really understand this book,” says Kroupa, “but it’s hysterical”; a bit of whimsical joy, preserved over the centuries. If Kroupa were to write a book of her life, it would have two distinct parts: childhood spent all over the place; adulthood spent happily planted and blooming. Born in Olympia, the only child in a military family, Kroupa grew up in Fort Lewis, San Francisco, Japan, Michigan, New Jersey, Germany, and finally Seattle, where she graduated from Queen Anne High School. An English major in creative writing, Kroupa took the job at Special Collections in 1968 with the idea of it being short term. “My intent was to get this job long enough to earn a little money, and then my boyfriend and I were going to move to San Francisco and be hippies,” she said. Things didn’t work out quite that way. Inspired by the vision of former Special Collections head Robert Monroe, who hired her, Kroupa found a home there, eventually going to library school part time (she earned her master’s degree in library and information science in 1985) and progressing from library technician to librarian to curator. Julie Chen’s “True to Life” lives at that place where book and art meet; it’s a tribute to memory, crafted from wood and paper and vivid imagination. Small, pleasing wooden handles on each side of a rectangular tablet allow the reader to slide overlapping panels of text, changing the narrative and changing the story, in the way that our memories shift and drift with time. Many of the pieces in Special Collections, packaged and shelved neatly in custom acid-free boxes, are recognizable as what we think of as a book; some are not. Modern artist books, such as Chen’s, are a special interest for Kroupa, who has worked hard to develop the strength of the collection in that area. Because of her expertise, she frequently gets questions from artists. Someone, say, might be working on an art book to memorialize a relative, and will ask if Kroupa has any examples for inspiration. She might show them “Joanne: Loss of Memory” by Steve Daiber; a poignant collection, in tangible bits and pieces — maps, shells, telegrams, photographs — of memories of his scientist mother. Or, to someone wondering about what an art book might be, she might show them Tamar Stone’s “Taking To Bed,” a tiny bed in which each layer of bedding contains words; part of a project by the artist to tell women’s stories. Are these objects, without binding and pages, books? Kroupa, who makes a point of declining to define “book,” says they are. “Sometimes people want to fight about what is a book and what isn’t. I say, OK, we’re going to change the language for just a minute. Define music. There’s a whole lot of stuff going on out there that somebody’s calling music that I wouldn’t call music, but who the hell am I to say? It’s not my position. 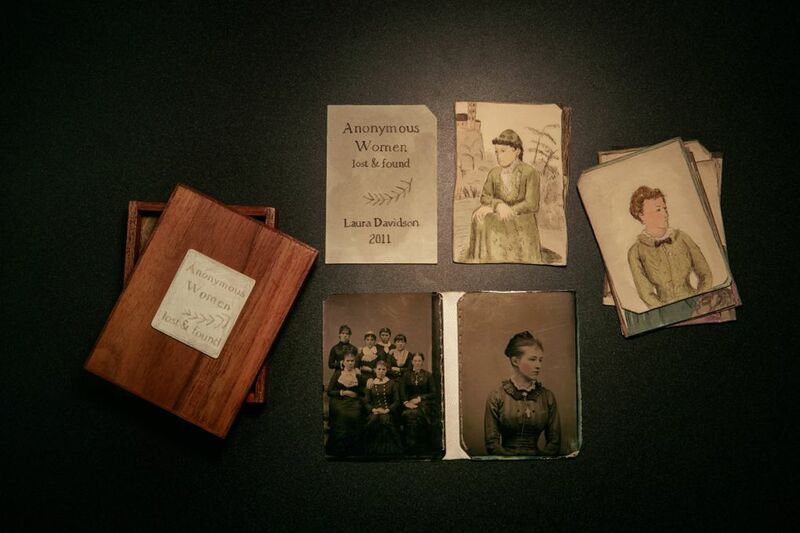 Laura Davidson’s moving “Anonymous Women, lost and found” is housed in a tiny wooden box; its loose pages are tintype portraits of women whose names were long ago lost to time, hand-tinted in soft color. They seem to have been revived; friends brought back together again. Though she thoroughly enjoyed a recent party at Benaroya Hall with 175 friends and colleagues celebrating her 50 years working in Special Collections (in honor of the anniversary, 120 artists got together to donate books to the Book Arts collection), Kroupa at 71 has no plans to retire. She moves through Special Collections with the confidence of someone who knows where everything is put; her cluttered office looks like both chaos and settled-in comfort, where every object has meaning. She’s learned a few things in 50 years, but can’t wait to learn more — and to keep putting books, whatever they might be, in the hands of those who are dazzled by them.